For specific information on obtaining an internship, please visit or contact the Center for Enhanced Academic Experiences, (570) 321-4602. An internship is a course jointly sponsored by the College and a public or private agency or subdivision of the College in which a student is able to earn college credit by participating in some active capacity as an assistant, aide, or apprentice. At least one-half of the effort expended by the intern should consist of academic work related to agency situations. to facilitate the integration of theory and practice by encouraging students to relate their on-campus academic experiences more directly to society in general and to possible career and other post-baccalaureate objectives in particular. Any junior or senior student in good academic standing may petition the Committee on Individual Studies for approval to serve as an intern. A maximum of 16 credits can be earned through the Internship Program. 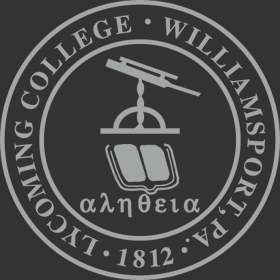 Guidelines for program development, assignment of tasks and academic requirements such as exams, papers, reports, grades, etc., are established in consultation with a faculty director at Lycoming and an agency supervisor at the place of internship. Students with diverse majors have participated in a wide variety of internships, including ones with NBC Television in New York City, the Allenwood Federal Prison Camp, Pennsylvania State Department of Environmental Resources, Lycoming County Historical Society, the American Cancer Society, business and accounting firms, law offices, hospitals, social service agencies, banks and Congressional offices.